Screen printing is a great way to get your logo or other design on shirts. 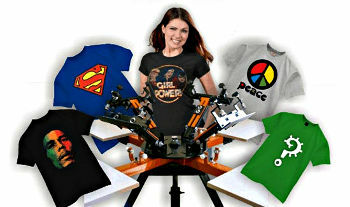 It is used for creating shirts for employees, for events or to sell. Our graphics designers will work with you to design the perfect screenprinted shirt for your business. Give us a call or come by our shop to talk about all the printed marketing materials that you need.